Our owner Rob Serulneck has been in the wedding event business for almost 35 years. He understands what brides and people throughing parties want most. Top quality service and equipment supplied by personal dressed appropriately at a fair price with no surprises! What makes our company special is that we are known to offer you guaranteed lowest prices on every service we provide. We are always your best value because we simply don’t play games with our prices. There is never an up charge or bump in price. EVERYTHING is always included in our packages. NO SURPRISES! We bring EVERYTHING we might need. We never bother a facility for anything and we leave our area cleaner than we found it. That is a hint of why we are recommended by the area’s truly finest venues. In fact we are at premiere properties so often that they allow us to leave our equipment on premise weeks at a time. Our equipment is always in “just out of the box” condition. There is never an “idle time” charge; we work on your schedule. There is never a commotion setting up or breaking down our equipment. We arrive before your party begins and leave after your last guest. With our vast line of over 2 dozen services we are able to offer package prices that simply can’t be beat! No matter which of our enhancement services you use Photo Booths, Chocolate Fountains, Espresso Bars, Party Favors or any of our entertainment, dessert or late night snack services you use. You can be confident that we use only recognized state of the art manufactured equipment brands insuring you will get your moneys worth. Most of all that there will be no breakdowns of equipment or excuses at your event. We have dozens and dozens of verifiable testimonials. Check out party portals for past clients revues. Just about every single weekend of the year we are sweetening and are making 5-10 parties more memorable. You are invited to speak to last weeks clients any week you chose. We are proud of the job we do at every single event! Weddings, Sweet 16’s, Mitzvahs, Proms and Graduations, Birthdays, Anniversaries, Communions, Club, College / Universities and Corporate parties of all types, Retirements no matter what type, no matter the size of your party, a photo booth is a great source of interactive entertainment for you and all your guests. The photo booth is sure to be a hit, the smiles and laughter are non-stop. You and your guests will have unlimited access to the photo booth during your party and each session will provide one print out for every person in the picture. After the party, all photos will be completely accessible from our website and are password protected. You also receive a DVD or Thumb drive of all images and videos taken at your event. A Photo Booth is a great way to make your special more memorable. Each visit by your guests to the booth will produce a high quality photo strip with your customizable message and graphic. Your guests are even encouraged to leave their best wishes on video for you to view for years to come. The photo strip doubles as a favor for your guests! You will cherish the photos and videos of your guests for a lifetime as we provide a DVD or Thumb drive to you with a scrapbook of the photo strips and comments from your guests at the conclusion of the event. Also, a password protected catalog of all images and photo strips taken is available free to you and your guests on our website within 72 hours. You can easily deduct the cost of wedding favors, disposable cameras and developing the film from your investment and add a chocolate fountain at virtually no cost. Whether you are celebrating a milestone, rewarding the staff, holding a sales meeting, participating in a trade show, launching a new product and/or sales promotion, retirement, Grand Opening, Holiday party or simply just want more traffic to your store, a photo booth is a great way to bring attention to your event and company. Customize the Photo Strip to highlight the event forever. When the ordinary just won’t cut it, why not indulge your guests with their favorite thing themselves and their loved ones! Everyone has a great time in the booth. Our Fantasy Photo Booths are all the rage with kids of all ages. Even kids that are ready to retire leave with a great memory from our Fantasy Photo Booth. Customize your Photo Strip any way you wish or choose from over 250 graphic designs we make available for you free of charge. There is no better way than to have our genuine Photo Booth at your social events! Not only will every person at your once in a lifetime event receive a Photo Strip but every time they are in the Photo Booth but will receive a 4” x 6” print of their favorite picture on the strip. With over 100 proms, graduation parties and commencements we claim in the books no one else has the experience we do. Nor does anyone around have a genuine photo booth that can claim 10 seconds printing time. Receive your prints immediately, no need to check back and claim your pictures. We have state of the art dye sublimation printers. The Pennsylvania Photo Booth Company, located near Allentown PA, is a full service party rental company. We rent every party concession item you can think of. We specialize in Photo Booths, Chocolate Fountains, Espresso & Cappuccino Bars. We also serve you with refreshments and deserts like Root Beer Floats, incredible Firey Banana Foster, Cheesecake Bars & Ice Cream Bars. How about something special with delicious late night party snacks such as Cheese Steaks stations, Gourmet Grilled Cheese Bars, Hot Dogs, Cali Burritos, Nacho Bar, Fresh Donuts, etc. For favors we offer Chocolate Covered Tuxedo Strawberries and Apples, pretzels, marshmallows, etc.. We offer one of a kind kids parties treats such as the famous Pucker Powder®, Chocolate Shots, Cone Shots, Peanut Butter Spoons (with Chocolate Fountains), Candy Bars and traditional favorites like Cotton Candy, Pop Corn and Sno Cones, waffles and ice cream etc. 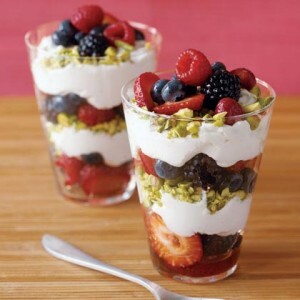 Mini Dessert Parfaits Our 5 ounce Mini Dessert Parfaits are in a word Delicious. Customized to your taste. Bananas or Apples are cooked in a fiery bubbling pan of dark brown sugar, butter, banana liqueur and cinnamon and served over vanilla ice cream with walnuts in this elegant New Orleans dessert. 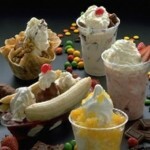 Nothing is better than our fresh whipped cream sweetened to perfection! A photo booth is a great way to add some fun to your event, but why stop there. We offer a lot of other services that make party planning a bit easier for you. Why not add some delicious extras to your event. 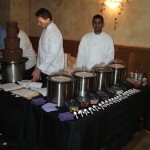 We offer chocolate fountains, desserts, coffee & tea stations, ice cream bars, and cappuccino bars. 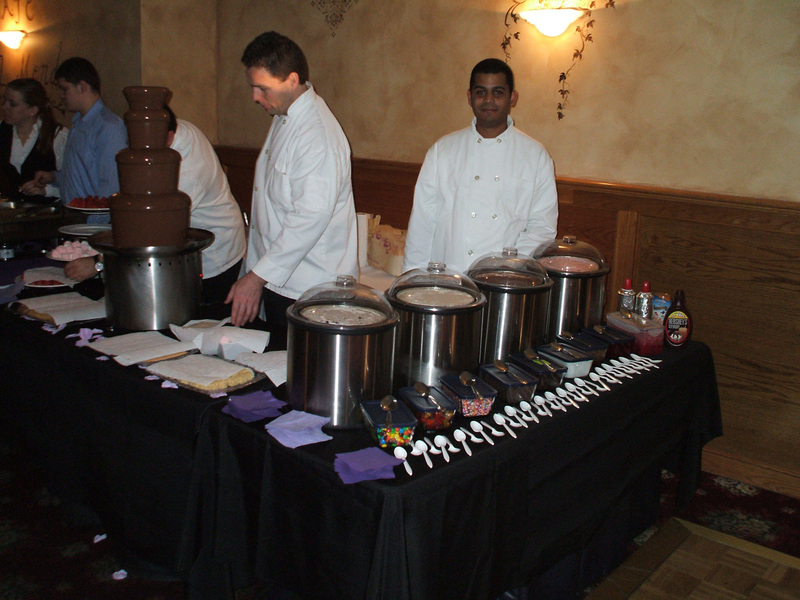 Whether we are at a Wedding, Sweet Sixteen, Quinceanera, Bar or Bat Mitzvah, a young child’s birthday party at any age, or a large corporate event, when you combine our famous Chocolate Fantasy Fountain* with our Pennsylvania Photo Booth rental you will definitely have sweet memories of a lifetime. 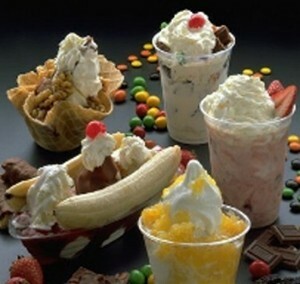 You are able to cover the dessert and fun entertainment for one low price. Get our Chocolate Fantasy Fountain* for only $100 with our Pennsylvania Photo Booth 5 hour package both for less than the price all others are charging for the Photo Booth rental alone!!! BEST OF ALL, EVERYTHING IS INCLUDED*!!! NO UPSELL GAMES. Never a BUMP!!! !